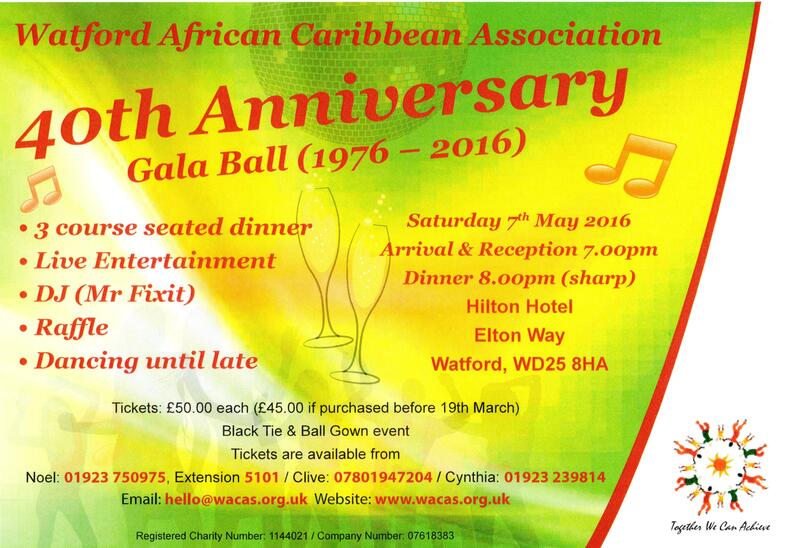 You are invited to the Watford African Caribbean Association’s Gala Ball at the Hilton Hotel Watford on Saturday 7th May 2016. You can enjoy a fantastic three course meal, live entertainment, raffle, dancing and more. This is a Black Tie and Ball Gown event. Tickets are £45 each before the 19th March 2016 and £50 each thereafter. To purchase tickets, click here – tickets will be sent to you by post. For more information, contact Clive on 07801 947204 or clive@wacas.org.uk .